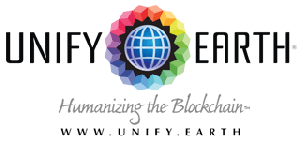 NASSAU, NJ, BAHAMAS, November 8, 2018 /EINPresswire.com/ -- Unify Earth1 Systems, Ltd., a Bahamian-based technology services company, announces a series of new clients integrating their business and services on the firm’s Unify Core Blockchain 3.0 platform. HealRWorld®, HopSports®, Kinect®, and Pi.Eco®. Each of these incredible innovators has joined Unify Earth in aligning with the United Nations to achieve the UN’s 17 Sustainable Development Goals. Led by Michele Bongiovanni, HealRWorld® uses data to improve financial options for small and medium enterprises (SME) that support the UN’s SDGs.